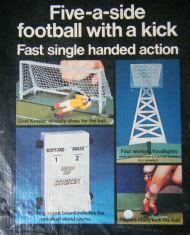 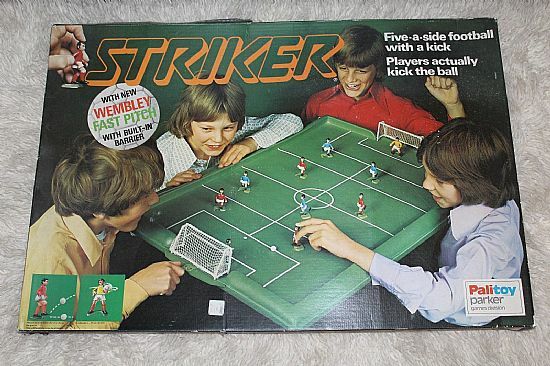 A super five a side game that was very popular in the 1970s and came in enormous boxes. 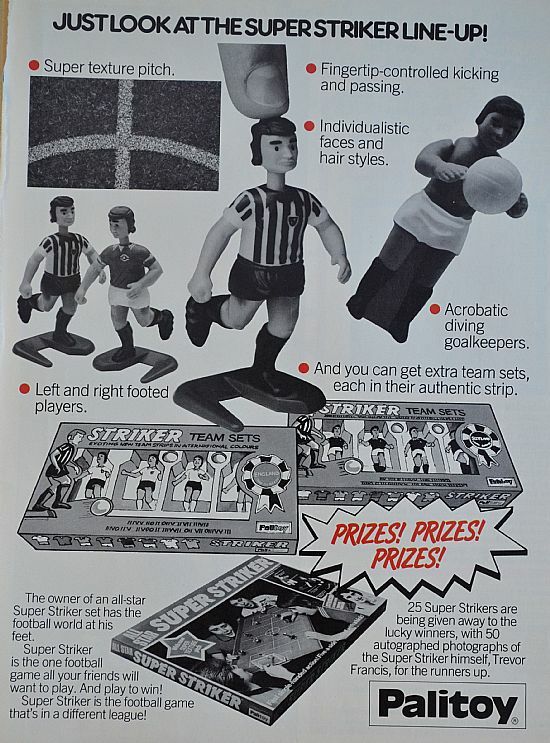 Rather than show every edition and box type I have included the world cup Striker edition as representative of all the Striker versions made by Palitoy and Parker. 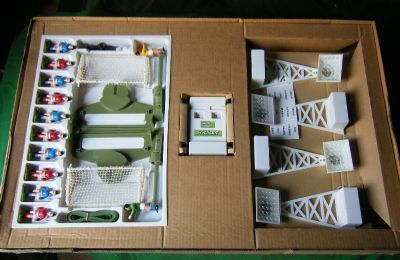 This was the top of the range set that included a scoreboard and floodlights. 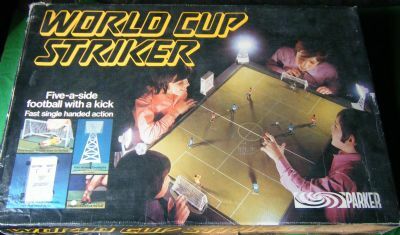 Moody night game image to showcase the (not very) powerful floodlights. 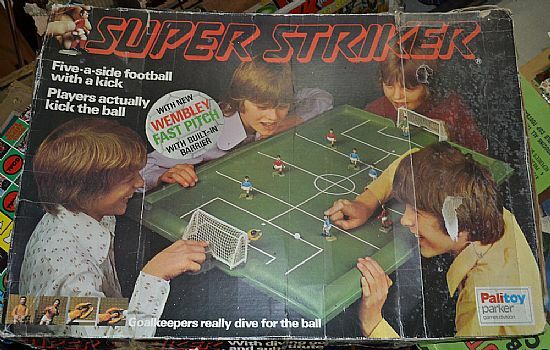 Possibly the rarest of the boxed sets? 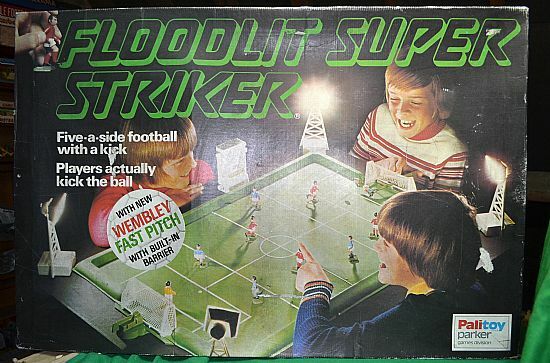 Floodlit set with Wembley fast pitch. 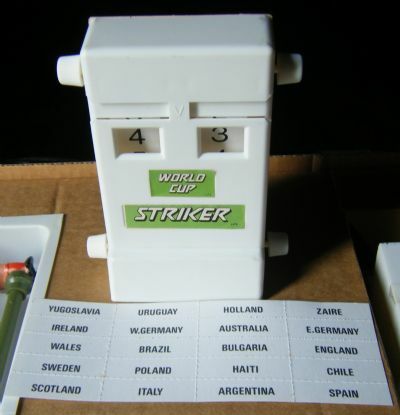 Same as world cup set with different inner tray. First of the enhanced sets, basic Striker with the addition of the Wembley Fast Pitch. 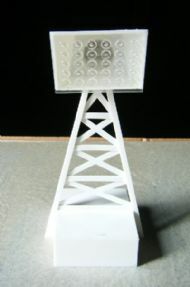 Rare variant with different moulded pitch. 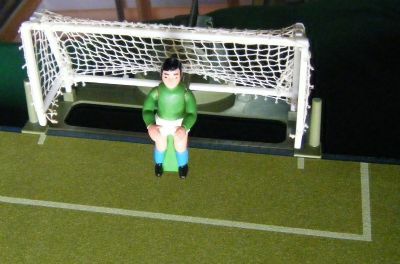 Basic version without diving goalkeepers but with a fancy fuzzy pitch. Not sure Newcastle and Man Utd would now class as All Star!! 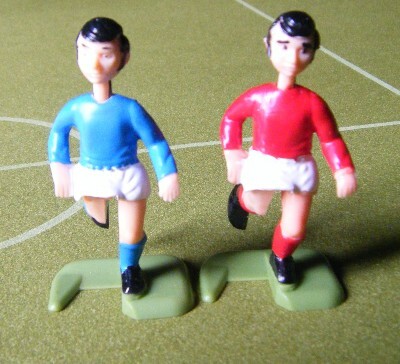 The classic push down heads figures in that oh so camp pose. 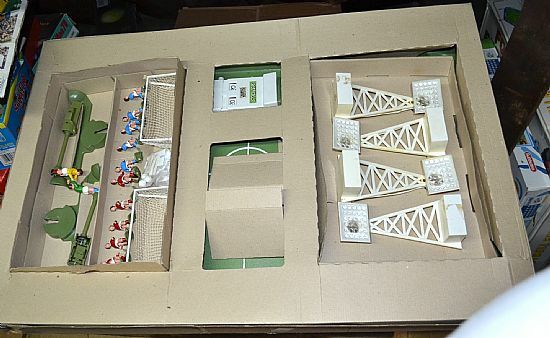 The inner box and contents, anyone got a picture of this set correctly laid out? 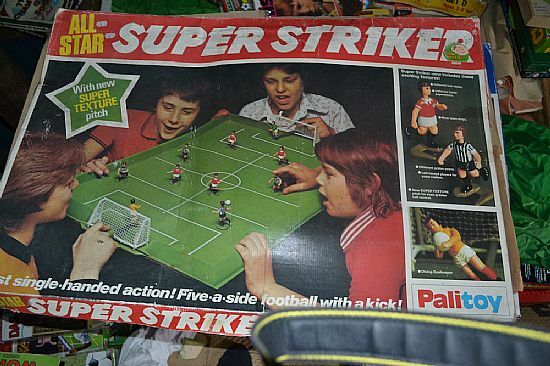 Shades required to deal with the glare from these beauties! 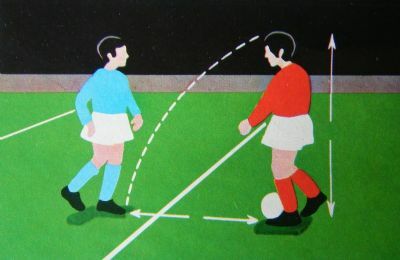 The legendary Striker diving goalies - never recorded as ever having made an actual save. 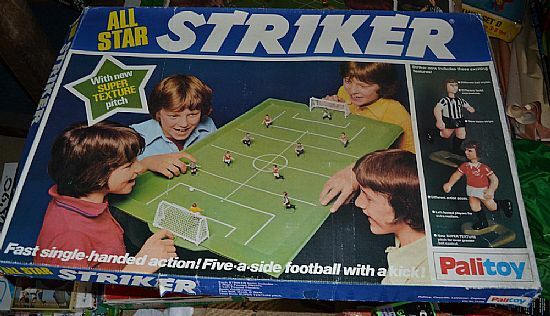 A box packed full of goodies promising fast single handed action! The scoreboard with team names from the 1974 world cup. How many hours were spent drooling over these ads?